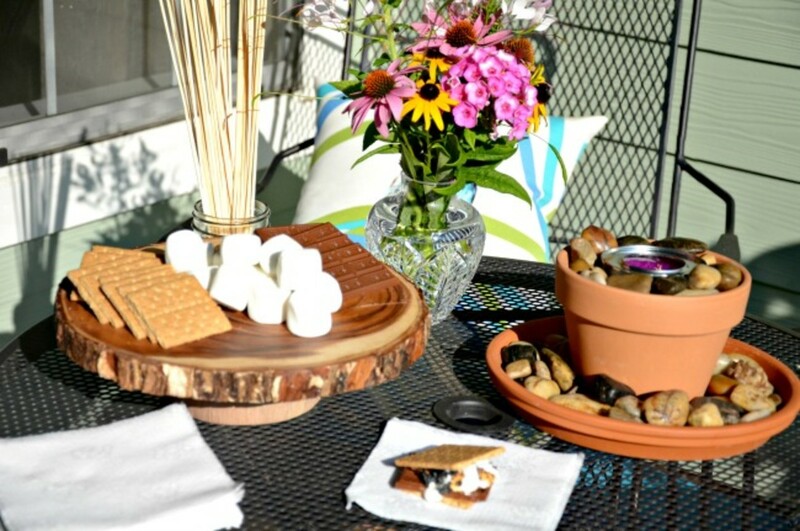 Create a Tabletop S'mores Bar with your Family This Summer! 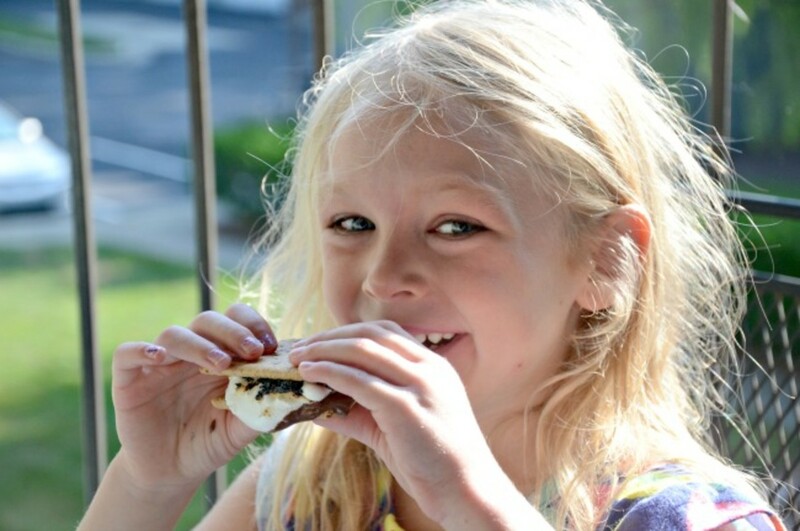 Nothing quite tastes like summer as much as s&apos;mores! 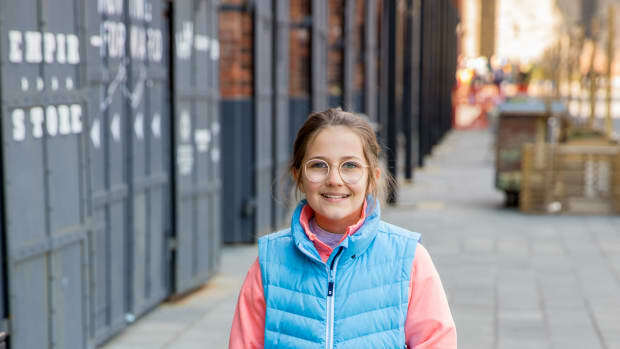 As one of the most defining flavors and experiences of summer, Hershey&apos;s Milk Chocolate, marshmallows and graham crackers have brought families together for decades! 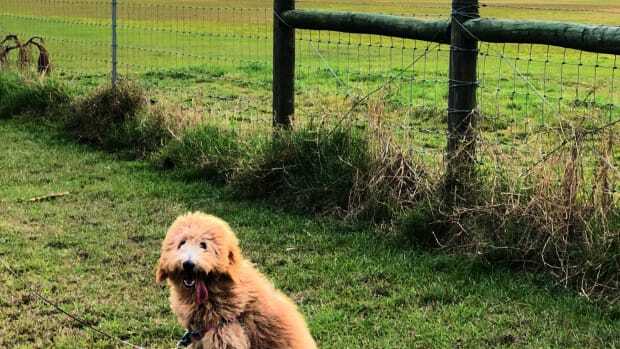 Not going camping this summer? No problem! 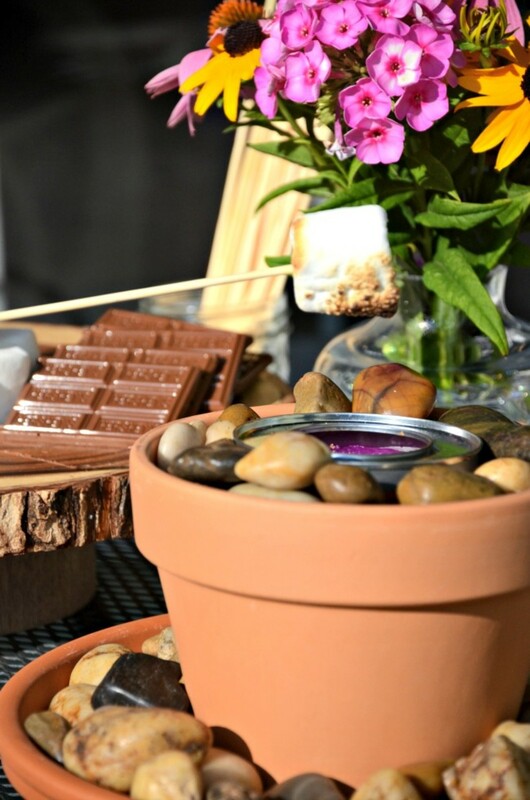 There is no camping required for our tabletop s&apos;mores bar. 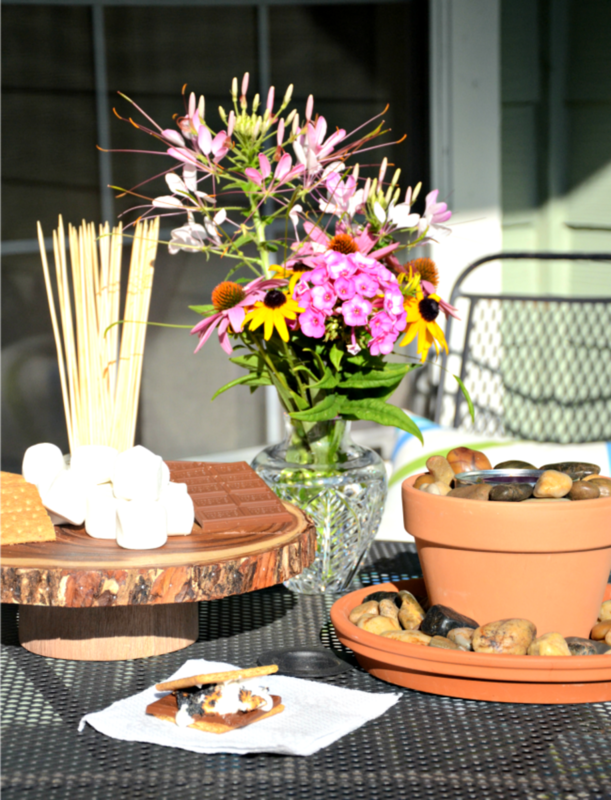 Our tabletop s&apos;mores bar is perfect for patios or even indoors. My 6 year old loved it! The set up is simple to do. 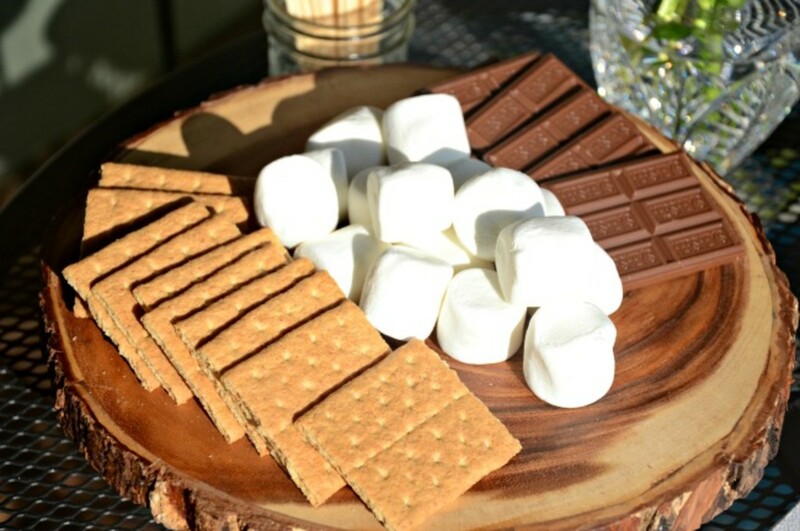 Display your graham crackers, marshmallows and Hershey&apos;s Milk Chocolate on a pretty platter. I wanted my s&apos;mores bar to have a rustic feel (even though we weren&apos;t camping) so I picked up a tree stump cake plate to display all the fixin&apos;s for our s&apos;mores. I finished off the table with a bunch of wildflowers for some extra color and to bring even more outdoors to our tabletop smores bar. I know you&apos;re wondering how we toasted our marshmallows. Don&apos;t worry, that was simple too. Since we weren&apos;t camping I created a "mini campfire" using river rocks, clay pots and a sterno can. I displayed bamboo kebab skewers in a mason jar that we used to toast our marshmallows over our mini campfire. At first our marshmallows got a little crispy if we weren&apos;t really careful. Turning the marshmallows slowly a few inches above the "mini campfire" gave us the best, slightly toasted results. Don&apos;t rush it unless you like slightly burnt marshmallows (I don&apos;t mind that). 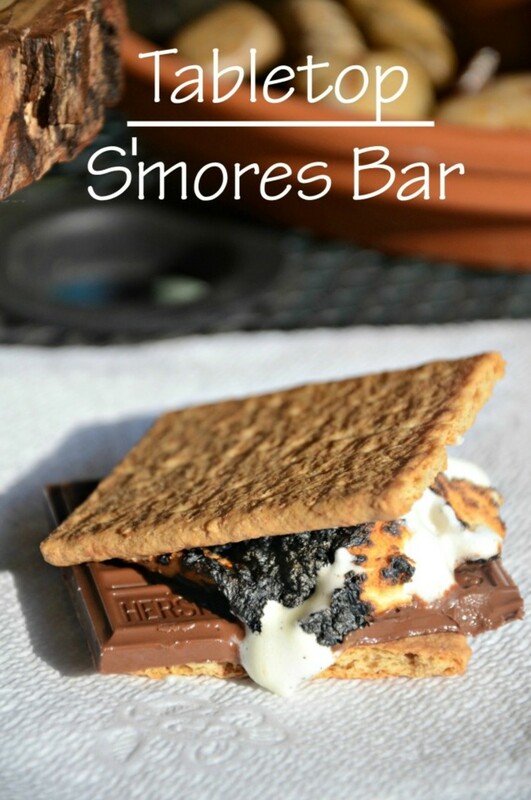 Either way your marshmallow will be all warm and gooey and just right to smoosh between 2 graham crackers and warm and toasty enough to melt your Hershey&apos;s Milk Chocolate. It was such ooey, gooey goodness! Mmm, s&apos;mores! 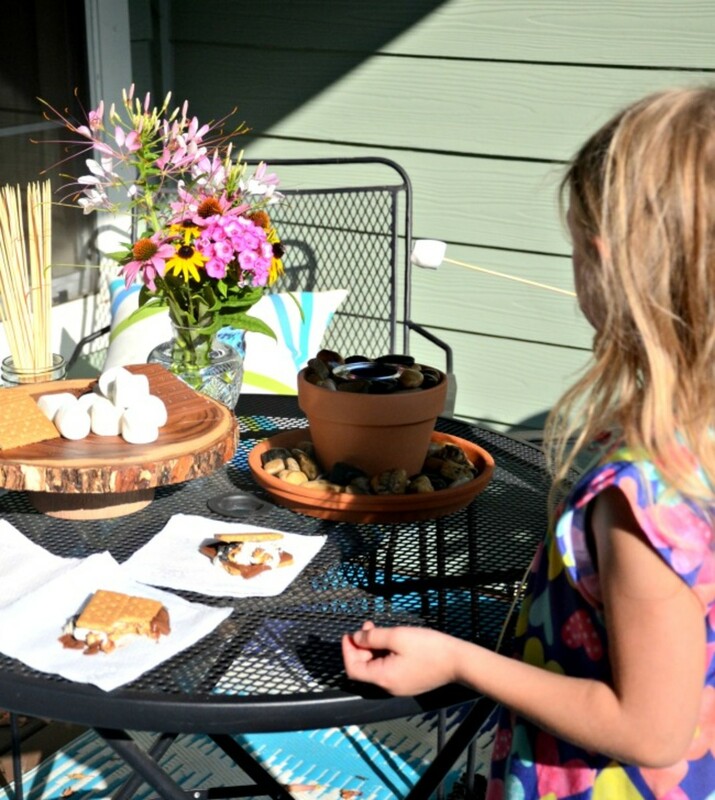 Kids simply love making these tabletop s&apos;mores and it was so simple to put together. 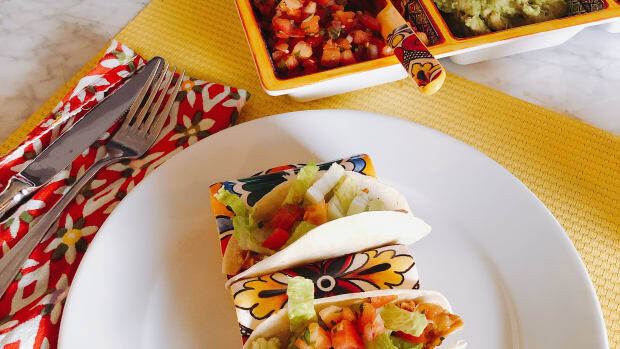 A perfect summertime dessert even if you aren&apos;t camping. And as if you needed a reason to make s&apos;mores, National S&apos;mores Day is August 10th. For more information including crafts and recipes, visit CelebrateWithHersheys.com. 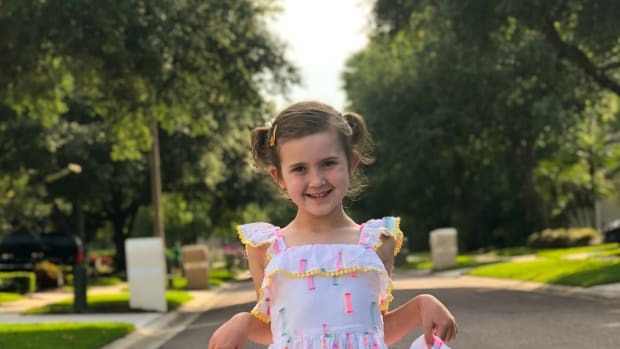 Disclaimer: Compensation was provided by The Hershey Company via MomTrends. 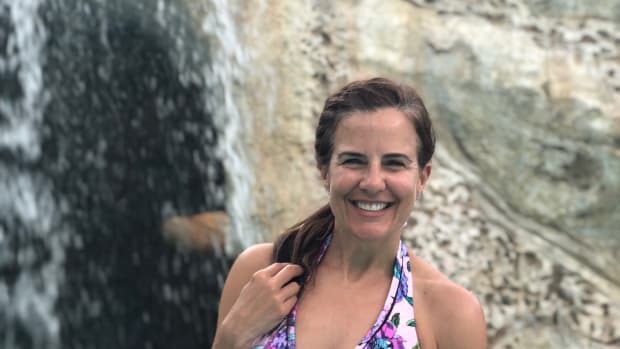 The opinions expressed herein are those of the author and are not indicative of the opinions of The HersheyCompany or Momtrends.